NAPA, Calif. – The Sonoma Stompers stormed out early Tuesday evening, scoring seven runs over the first four innings to power their way to a 7-5 win over the Napa Silverados. 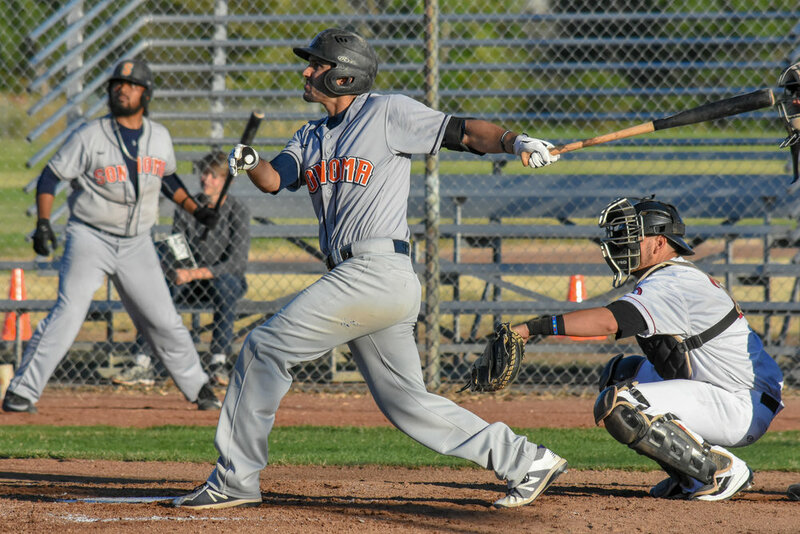 Playing in Napa for the first time in 2018, the Stompers looked to continue their success against the Silverados this season and did so in the first inning, scoring two runs. Miles Williams connected for his fifth home run in three days only a few pitches into the ballgame, giving Sonoma a quick 1-0 lead. A Napa error allowed a second run to score when Daniel Baptista singled in Kenny Meimerstorf, putting the Stompers on top 2-0. The Stompers put three more runs on the board in the third on RBI hits from Meimerstorf and Baptista, extending the Sonoma lead to 5-1. A two-run home run in the fourth inning off the bat of Meimerstorf extended the lead tot 7-1, a comfortable margin that allowed the Stompers to stay ahead for the remainder of the game. Dominic Topoozian made his eighth start of the season, going 6.2 innings and striking out nine Silverado hitters while allowing just three runs. Kenny Mathews relieved Topoozian with 1.1 scoreless innings, including two strikeouts and Jacob Cox entered the game late to record a one-out save, his league-leading 10th save of the season. Sonoma looks for its sixth-straight victory Wednesday night when they return to Napa for the second game of the midweek series.